Modern day explorers are taking a cue from Christopher Columbus’s original itinerary and setting their sights on a direct route to India. The country known for its diverse geography, colourful landscape and distinctive culture is fast becoming a holiday hot spot for the world’s adventure seekers. 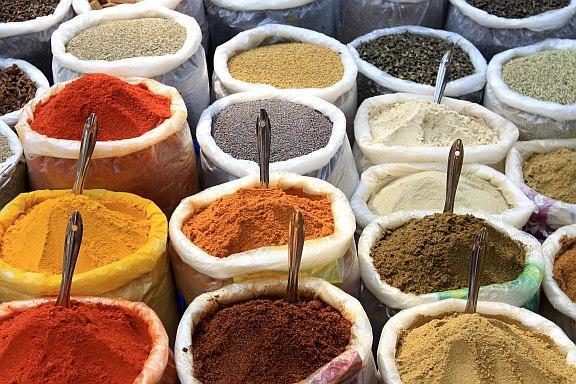 Indian cuisine often reflects the country’s cultural and geographic variations, but despite the differences, the creative use of spices always serves as a common thread that binds the country together. Experiencing the dishes that makes each region of the country famous is certainly one of the best ways to enjoy India holidays. The geography and associated agricultural products of each Indian region serve as an appetising palette for India’s culinary creations. North Indian cuisine, prepared in the country’s states of Kashmir, Punjab and Rahasthan, offer visitors a taste of India that includes spicy meat dishes as well as those prepared with rich creams. North Indian dishes are influenced by popular religious beliefs of the people, and lamb is used in many of the meat dishes instead of beef or pork. Ingredients used in East Indian dishes, such as those found in the state of Orissa, heavily reflect its coastal environment. Fish and shellfish are used extensively in these mildly spiced regional dishes. Common spices used to flavour vegetable dishes are cumin, fenugreek and mustard while turmeric is also used for mild curry meat dishes. West Bengal, another East Indian state, provides a spicier contrast to Orissa. Its vegetable, rice, lentil and fish dishes make extensive use of chillies as well as other regional spices. The dishes and food preparation methods of West India cuisine may contain the most internal variations than all the regions of India. The region known as the Konkan coast provides a picturesque setting during one’s India holidays to enjoy seafood dishes often flavoured with locally grown coconuts. West India dishes range from extremely spicy to relatively subdued. The cuisine of South India includes rice-based dishes flavoured with chutneys of varying levels of spice and heat. South Indian food often uses lentils and legumes, particularly the popular chickpea. Chickpeas are used whole as well as ground to flour for traditional baked goods. Sweets play a prominent role in the culture of the people of South India regions; visitors may sample tasty pastries and rich sweetened rice fritters. One of the best things about Indian food is that it is so accommodating to many different dietary preferences. Vegetarians find a host of delicious meal options available in most regions while non-vegetarians are never at a loss for a healthy, varied menu either. Indians are not only extremely skilled at weaving together the complex blends of spices needed to produce their tasty dishes, but they also happen to enjoy the process very much. Becoming an official tourist taste tester is certainly a way to win new friends and maybe even learn a secret recipe or two while on India holidays. Author: A food lover’s guide to India was writen by Tom Browne who visited India in 2012. India holidays are an explosion of colours, scents and tastes and Tom instantly fell in love with the unforgettable cuisine on offer.